Tuğba Kalafatoğlu is the founder and president of V♀TE Women in Politics, an international nonpartisan organization dedicated to helping women build the skills and infrastructure they need to become more effective leaders in the political world and to inspiring young women to participate in politics and run for office. 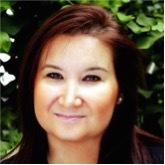 She is also President of Tugba Kalafatoglu & Associates, an international consulting firm. She is an entrepreneur, professor, author, a business and political consultant, public speaker, and seminar leader who speaks nationally and internationally on topics including intercultural communications, city branding, how to run successful international business, cross-cultural management, entrepreneurship, globalization, running for office, foreign policy, lobbying, leadership, motivation, organization and presentation skills. She works as an advisor to governments, international companies, and academia. She is also a lecturer and teaches political marketing, cross-cultural management, entrepreneurship, international business and strategic management. She has won numerous awards, including “Outstanding Young Person of the World in Politics, Law and Government Affairs,” “GOLD Pollie Award (Oscar of Political Advertising) in 2010”.